The Exit Exam is officially kaput. Rightfully so. 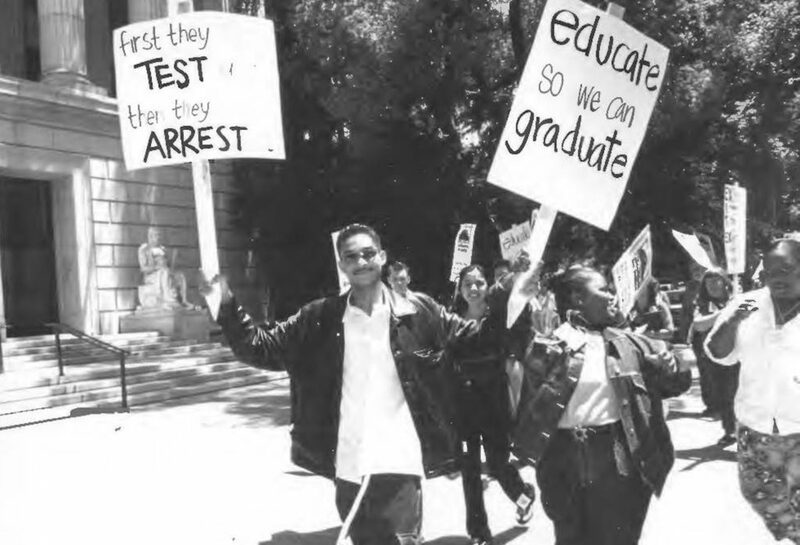 A test should not measure a student’s potential; especially when that test only furthered racial inequity for low-income students of color across California schools. One of those student leaders was Rosa De Leon, a 16-year-old Junior at Overfelt High School in San Jose, California. Just three months after she immigrated from Mexico, Rosa was expected to pass the Exit Exam. Her English Language Development teachers’ enthusiasm about her potential turned into hopelessness. With little support, Rosa’s teachers did what they could with the little help they had. 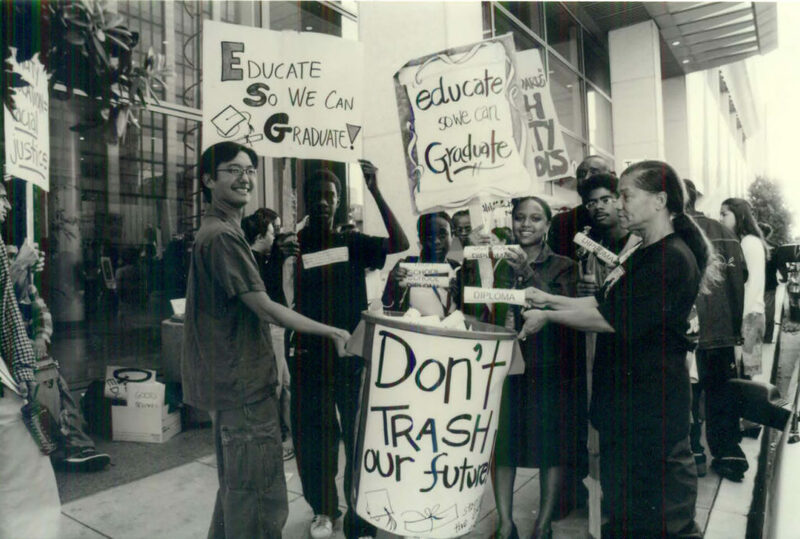 Rosa knew that many students, mostly students of color, would not pass the exam. Rosa was among the students that did not pass. In those two years, Rosa – young, unafraid, and undocumented – took her voice and her story to the CA State Board of Education boardroom and the halls of the Capitol to demand an end to the Exit Exam. 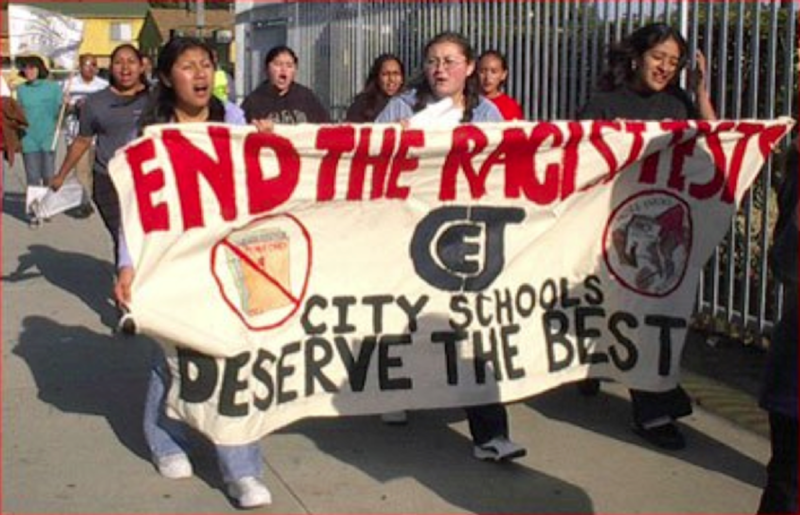 While Rosa and student leaders would go on to win a two-year delay, the High School Exit Exam offers us a powerful lesson about the history of racial equity and policies in California schools. That lesson: Listen to students. Value what students have to say by honoring their experiences and their stories because every student deserves to feel like they belong, and are supported to succeed in school. The CA High School Exam fell short of that. It only reinforced that students did not have the support they needed to succeed. It is a powerful reminder that we must value student voice and create spaces to build relationships with students that center their stories and experiences. When we do this, racial equity is at our fingertips.